If you ask us, cool weather deserves at least as much love as warm weather. Literally the moment one leaf falls off a tree, everyone gets all jazzed for sweater weather, apple picking and all things pumpkin spice. However, the cold can also inspire fear in parents, maybe because it can also mean a house full of cabin fever — think the dreaded chorus of “Mooom, I’m booored” on a long weekend. But it doesn’t have to be that way. With the right gear, your kids can stay active straight into winter with a host of chilly-day activities that’ll keep them happy and healthy (and stave off the whining). 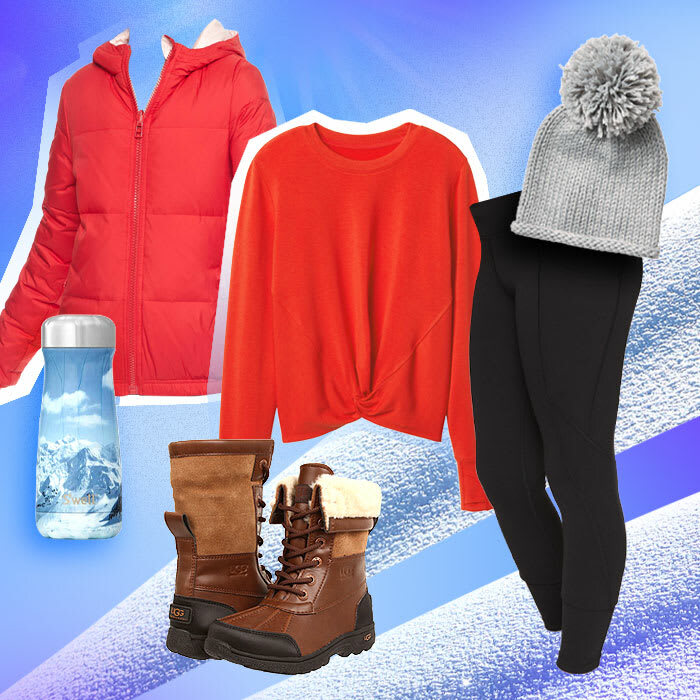 Whether your daughter’s the next ice-skating champ, ready to hit the snowy hiking trails or just planning a bonfire in the snowless backyard, the activities and outfits ahead will make her actually excited to suit up and greet the season. Read on for five reasons to get excited about the cold. Sledding is a winter classic for a good reason — all you need is a sled, some snow, a hill and the determination to climb it over and over, and it’s a winter tradition you can share with your daughter. Since this is an activity for 32 degrees and below, make sure to outfit her in a warm but lightweight down jacket that’s wind- and water-resistant, so it’s perfect for those slides into a snowbank. Definitely bring along a mug of hot chocolate — this one keeps your drink piping hot for 12 hours. A family camping trip is the perfect winter outing. Whether you book a cabin for the weekend or rough it in tents in the backyard, it’s a potentially screen-free way to bond with your family in a completely new way. Definitely not optional is the bonfire — it keeps you cozy, it inspires the kind of storytelling you’d never get with an iPad around and it roasts marshmallows, too. 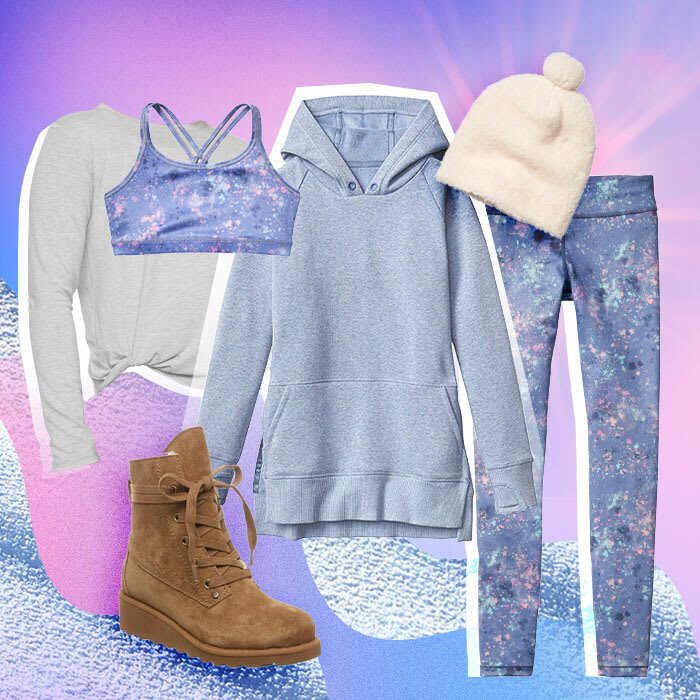 Since sitting around a bonfire is a stationary activity, make sure she’s layered up in a cozy tunic — bonus points for thumbholes that keep her sleeves in place — stretchy tights, wool-lined boots and the world’s cutest sherpa beanie. 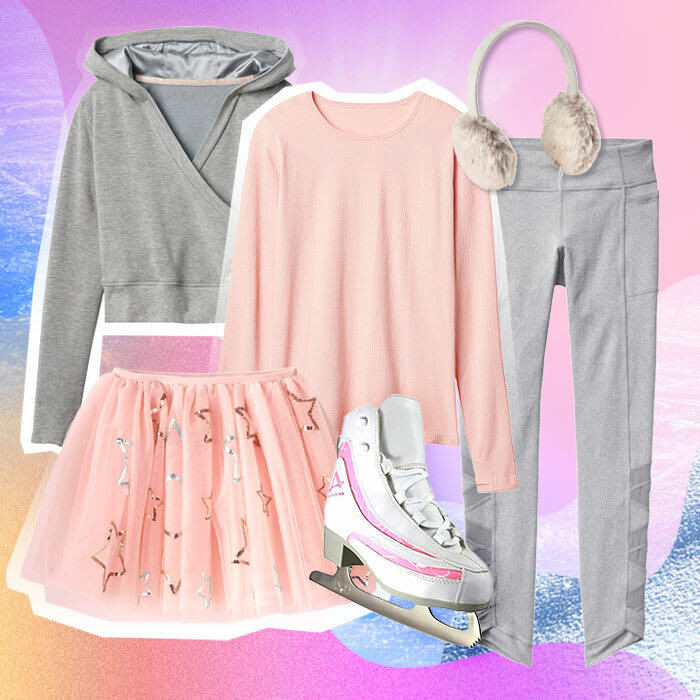 Whether your daughter is looking to land her first double axel or she’s more of a wall-hugger, she’ll look the part of an ice princess in this gently shimmering wrap with a satin-lined hood and matching cozy tights with pockets. The tulle skirt is totally optional, but it definitely adds flair to those spins. Either way, you’ll have a day together that she’ll never forget. Hiking is the ultimate bonding activity, providing you and your daughter quality one-on-one time. It is probably the most physically demanding activity on this list, so while the right gear is critical, you can afford to choose less bulky layers. A waterproof hiking boot and soft, stretchy leggings are musts, as is a pack stashed with water, trail mix and other snacks for refueling. And if the going gets tough, her “I am powerful” pullover will remind her she can do it. The first blizzard of the year means you have to build a snow fort — it’s pretty much the law. They’re surprisingly cozy once they’re built, but it’s pretty chilly getting there. 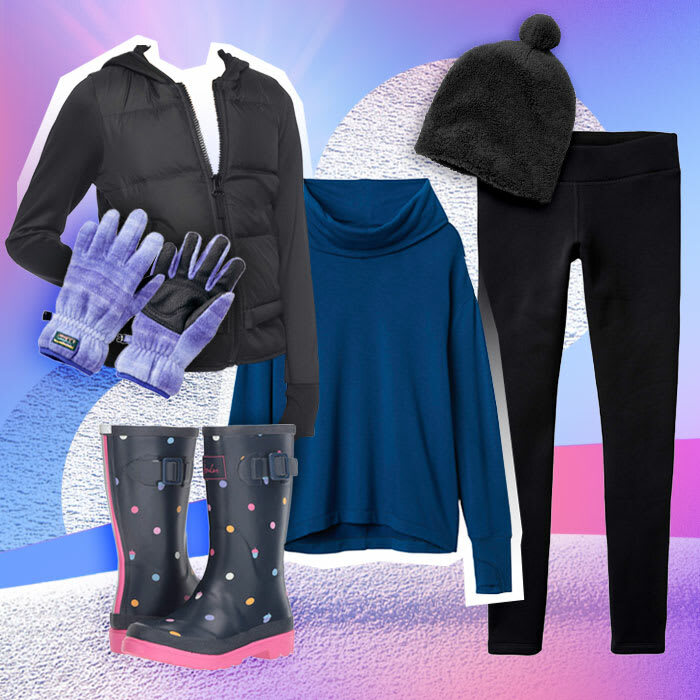 So, suit her up in a water-repellant down jacket and Polartec tight (the warmest ones they make), ski gloves and a fleece-lined rain boot to keep her cozy and dry. Just don’t forget to go out there with her — that’s something she won’t forget anytime soon.